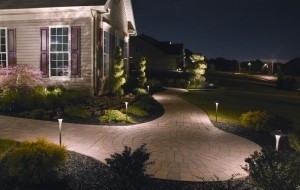 Essentially, anyone who has a yard can benefit tremendously from installing outdoor lighting. The benefits of doing so are both aesthetic and practical. They’ll improve the look of your home and yard while simultaneously making it safer and more secure. However, installing a lighting system incorrectly can open you up to a whole host of problems, so it’s best to contact a professional. When you work with Twin Oaks, together we can come up with a fantastic lighting solution to meet each and every one of your needs. Whether you require path lighting, moonlighting, backlighting or uplighting, Twin Oaks has you covered. Why Should I Install Outdoor Lighting? It Makes Your Home and Yard Look Great: Outdoor lighting can go a long way towards making your home look more inviting and attractive. You can use lighting to highlight areas of your home you’re particularly proud of, such as a garden or a water feature. Lighting can make your home look more dramatic and memorable, but it can also make it look warmer and more welcoming. It’s all about the type of lights you use, and where you place them. At Twin Oaks, we know how to accomplish any and all lighting-based objectives you might have. 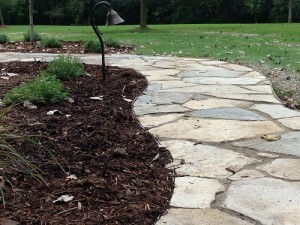 It Makes Traversing Your Yard Safer: The average yard contains a few obstacles (sticks, rocks, furniture…). During the day getting around these things would probably not be an issue, but at night they’re much more dangerous. With outdoor lighting, you can see where you’re walking with much more clarity. Without it, you might bump into something dangerous or trip and hurt yourself. The better lighted your yard is the safer it will become. It Gives You Additional Room: Installing additional lighting really opens your property up to additional possibilities. If you don’t have any, the amount of space you’re able to comfortably access after dark will be limited. With outdoor lighting you can increase your range, opening up more space for various activities and increasing your hosting potential. It Makes Your Home More Secure: The better lit your home is the less likely a burglar will target it. Though any outdoor lights will make your home more secure, getting motion activated lights is a good idea from a security standpoint. Once they turned on all but the bravest criminals will be scared away. Plus, they’ll save you money on energy costs. If you’re looking to install outdoor lighting on your property, whatever reasons you might have for doing so, contact Twin Oaks Landscape today for a free in-home estimate.